Have you been standing in front of your house looking at the roof, trying to imagine how a new roof would look? If you have plans to reroof your home, or you are considering roof types for a new build, and you want a distinct and clean look, then you should consider Linea concrete roof tiles. The benefits of durability and colour-through design are well-known aspects of not only Linea concrete roof tiles, but of all Boral concrete roof tiles. Boral Roofing is a supplier of high-quality terracotta, ceramic, and concrete roof tiles that are made in Australia. Boral roofing tiles are specifically tested to meet Australia’s unique climate conditions, and are designed to enhance the external aesthetics of homes, without sacrificing durability. Considering that the roof makes up more than 40% of the overall outside appearance of homes, the type of roofing material homeowners choose is very important, not only for aesthetic appeal but for physical protection of a house. 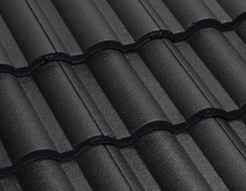 That is why Boral roofing tiles are widely used throughout Australia. Boral roof tiles are extremely durable, come in various styles and shapes, and have a wide selection of colours to choose from that can match all types of house designs. 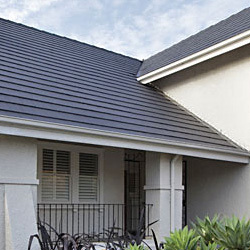 Boral Linea roof tiles are popular today because they provide an affordable alternative to slate tiles. Like flat slate tiles, Linea roof tiles give a distinctive clean sweeping appearance that appeal to many homeowners, and because flat Linea roof tiles are made of concrete, they are just as durable as slate roof tiles. Actually, Linea roof tiles have more benefits when compared to slate roof tiles. For example, each Linea concrete roof tile is a better insulator and performer against heat, and it comes with a product guarantee of up to 50-years. 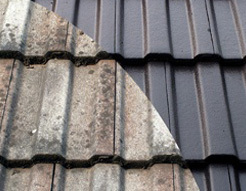 The terms “colour bonded” or “colour-through” are often mentioned when speaking about concrete tile roofing. These terms refer to the way colour is infused into the surface of concrete roof tiles. During the manufacturing process, either a coat of cement pigment is infused to the top surface of roof tiles, or iron oxide colouring is added directly into cement before it is placed into molds to form the shape of the roof tile. The colouring process not only produces a consistent colour throughout roof tiles, but it adds to the overall durability of roof tiles. The other benefit of Boral colour-through design is that the colour of roof tiles will not fade over time, which is another main aspect of why Boral Linea roof tiles are so popular.